Recent statistics on the religious commitments of young people are alarming. Surveys show that 22 percent of 18- to 29-year-olds claim no religion, and 70 percent of American youth drop out of church between the ages of 18 and 22. The church is losing its youth at a disturbing rate. 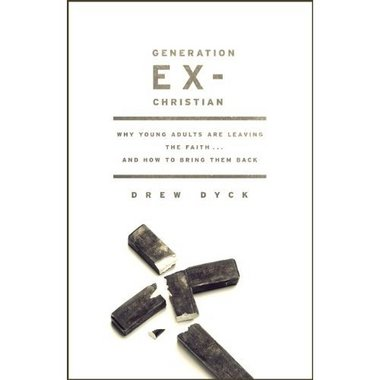 But behind every statistic is an individual story, and Drew Dyck contends in Generation Ex-Christian that most of these “leavers” fall into one of six broad categories: Postmodernists, Recoilers, Modernists, Neo-Pagans, Rebels, and Drifters. He devotes a chapter to each, which includes a description of the category, interviews with those who fit the category, and advice for how to reach out to each type of leaver. I found the interviews compelling and appreciated how they brought what could be merely abstract concepts to life. If you’ve spent much time sharing the gospel with different kinds of people, you will quickly recognize many of these “types” of non-believers (though Dyck acknowledges that every person has a unique story). I was most interested in the Modernists leavers, who appear for the most part to be new atheists. As part of his research for this group, Dyck attended a meeting of the Wheaton Atheists Group and describes his interaction with the skeptics there. One of the members, a young man named Dan, admitted that he had grown up in the Assemblies of God and had just recently left the faith. What had caused his crisis of faith? For years Dan tried desperately to maintain his belief in the young earth theory. 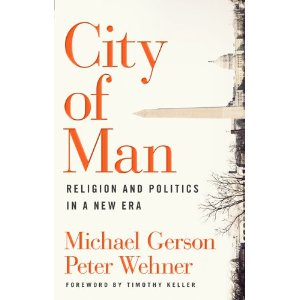 He read material from Answers in Genesis, a Christian apologetics organization, consulted his pastor and people in his church. But ultimately he said he just couldn’t deny what he saw as the evidence that the world was much older than 6,000 years. “That’s when I realized that Christianity just wasn’t true,” he said. I cringe as well when I hear those kinds of stories and lament the fact that peripheral matters like the age of the earth are taken to be reasons for rejecting the gospel. But I’m discovering that these kinds of stories are common. Another atheist, Shane, had been drifting from his Christian faith for some time. What pushed him over the edge was the terrorist attacks of 9/11. Dyck ends the chapter with several pieces of good advice for reaching out to Modernist leavers. He encourages listening carefully and asking questions of skeptics, and not assuming common ground that doesn’t exist (e.g., the belief that the Bible is reliable or inspired). Relevant and suitable questions to ask include those that encourage a skeptic to follow the logical consequences of their worldview, including the loss of objective meaning and morality (some skeptics will deny this, but many don’t and readily admit it). It will likely be necessary to point out the consequences of adopting a non-God worldview. Dyck also wisely encourages Christians to confront atheists with the fact that they themselves have a worldview that requires defending and offering good reasons for. In my experience, the majority of atheists believe that their skeptical position is somehow neutral ground that requires no justification to hold. But as long as anyone is making a positive claim of any kind (e.g., God doesn’t exist, Christianity is false, etc. ), he or she is under the same obligation as the Christian to provide reasons and evidence for their claim. If someone just doesn’t know, then they should adopt the agnostic, rather than the atheistic, viewpoint. The other chapters of Generation Ex-Christian are as good as this one, so I heartily recommend this book, especially to those who need help understanding and reaching out to the leavers they know. The first chapter can be downloaded here. — Reviewed by Chris Reese. In the interest of full disclosure, I work for Moody, the publisher of Generation Ex-Christian.